RIO GRANDE CITY — County investigators have made their first arrest in an investigation into voter fraud Monday morning. 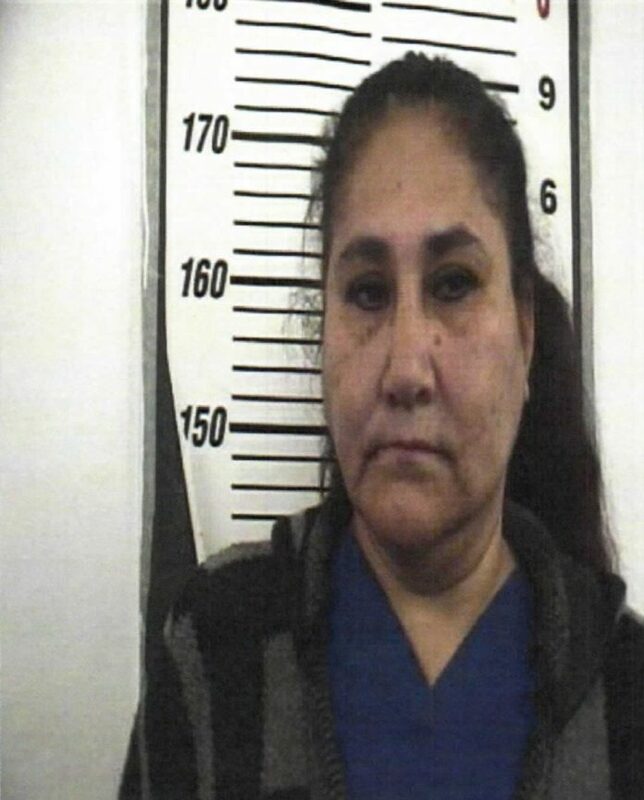 Ernestina Barron, 50, was arrested and charged with three counts of election fraud, a Class A misdemeanor, and three counts of fraudulent application for ballot by mail, a state jail felony. Barron, an employee within the Rio Grande City school district, was apprehended at Veterans Middle School by the Starr County Special Crimes Unit. Allegations stem from three instances in which she is accused of unlawfully filling out applications for voters, investigators discovered through interviews with three voters, according to unit commander Robert Caples. The first individual said Barron had them sign their name to the application and the accused allegedly filled out the entirety of the application and checked off that the individual was disabled. The individual is not disabled and stated they never told Barron they were disabled, Caples said. The second person said Barron had them sign their name before leaving with the application. The third incidence involved an individual on felony probation, therefore making the individual ineligible to vote. The person said they told Barron they couldn’t vote but signed the application anyway in front of the voter and another witness. The individual in question, a cowboy who competes in roping events at rodeos and who does not have a disability, was also listed as disabled. Caples described the nature of Barron’s alleged acts as “in-your-face” violations that don’t require much digging to unearth. “If we were able to find this right out in the open, then it leaves the question what else is out there,” Caples said, explaining why officials expect there will be more arrests. The investigation was launched by 229th District Attorney Omar Escobar after the county elections department notified him of questionable applications for mail-in ballots. Escobar said he has made efforts to notify the public about changes to the election code made by Senate Bill 5. The law, which went into effect on Dec. 1, 2017, makes it a state jail felony to provide false information on an application or submit it without the voter’s consent. Of the investigation, Caples said he thought it a good thing Starr County was taking the lead in looking into voter fraud.